Federal Conservative leader Andrew Scheer says Prime Minister Justin Trudeau is threatening to sue him over the S-N-C Lavalin controversy, but Scheer is welcoming a lawsuit. 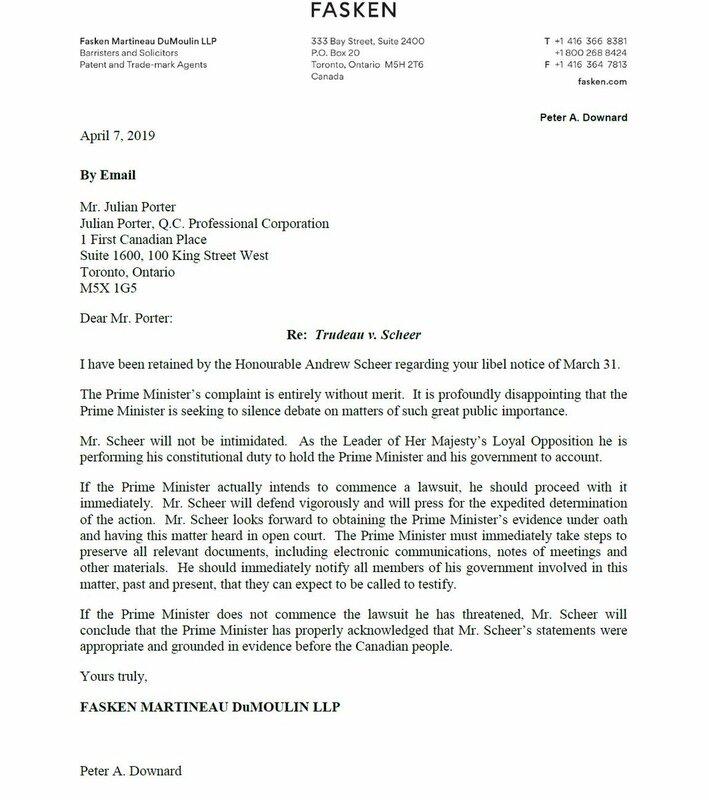 He says he received a letter on March 31st from Trudeau's lawyer threatening a libel suit. At a news conference in Ottawa today, Scheer challenged Trudeau to follow--through with this threats to take him to court. "If Mr. Trudeau intends to pursue this course of legal action. If he believes he has a case against me. I urge him to do so immediately. This is an urgent matter of public interest and it deserves to be heard in a legal setting where Liberal do not control the proceedings." Trudeau's former attorney general, Jody Wilson-Raybould, maintains she was inappropriately pressured by the Prime Minister's Office to intervene to stop criminal proceedings against Montreal-based engineering and construction giant SNC-Lavalin. Conservative Leader Andrew Scheer has repeatedly accused Trudeau of a coverup, and demanded the Prime Minister resign.